Rev. Fr. Paren Galstyan was born on September 3, 1979, in Vedi, in the region of Ararat, Armenia. He graduated from the local high school in 1996, and subsequently studied at the seminaries in Sevan (1996-1997) and Gyumri (1997-2000), Armenia. From 2000-2006, he was a student at the Gevorkyan Seminary of the Mother See of Holy Etchmiadzin. 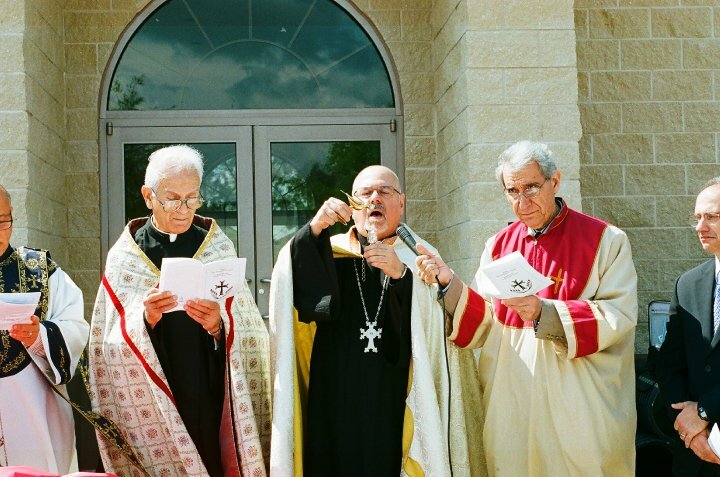 He was ordained to the diaconate by Archbishop Nerses Bozabalyan on February 23, 2006. On December 3, 2006, he was ordained into the holy order of priesthood by Bishop Anooshavan Jamgochyan in Holy Etchmiadzin and given the priestly name, Paren. From October 2006 to June 2007, he worked at the Chancellery of the Mother See of Holy Etchmiadzin. From July 2007,with the blessing of His Holiness Karekin II, Rev. Fr. Paren Galstyan was assigned to serve in the Eastern Diocese and served as an interim pastor at St. James Armenian Church in Evanston, IL. In addition, he studied English at North Park Theological Seminary in Chicago. On October 29, 2009, Rev. Fr. 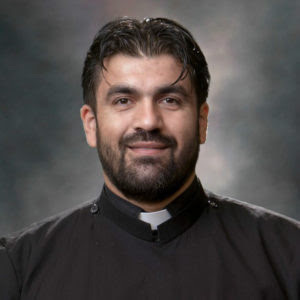 Paren Galstyan was assigned as the interim pastor of St. George Church of Waukegan, IL. From Desember 1, 2009 Rev. Fr. Paren Galstyan assigned as a pastor of St. George Armenian Church of Waukegan and Holy Resurrection Armenian Church of South Milwaukee, WI. On Sumer of 2010 Fr. Paren participated and graduated of Clinical Pastoral Education (CPE) program at the Advocat Good Shepherd Hospital in Barrington IL. In February 2014, he was assigned to serve as the pastor of St. David Church of Boca Raton, FL. From January 1, 2019 Rev Fr. 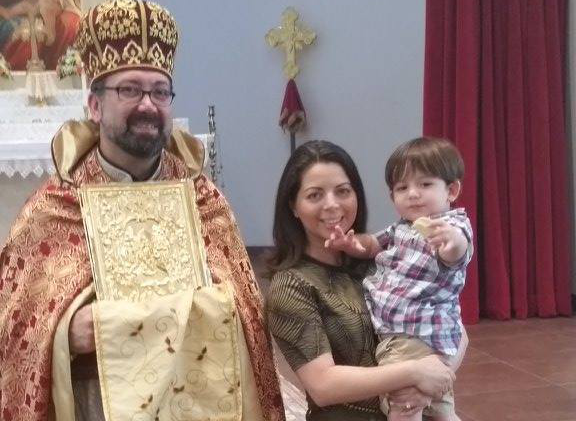 Paren Galstyan assigned as "Full time Visiting Pastor" of Soorp Haroutiun Armenian Church of Orlando, Florida. Fr. Paren is married to Yn. Lusine Simonyan, and they are blessed with two sons, Grigor and Aren. Rev. Fr. Mampre was born Alexan in Larnaca, Cyprus, on April 26, 1933. He attended the local Armenian National School, graduating in 1949. Later that year, he entered the Armenian Theological Seminary in Antelias, Lebanon, as a second-year student. In 1956, Fr. Mampre moved to the United States to further his theological education and serve the Eastern Diocese as a priest. While a student at the General Theological Seminary in New York, Fr. 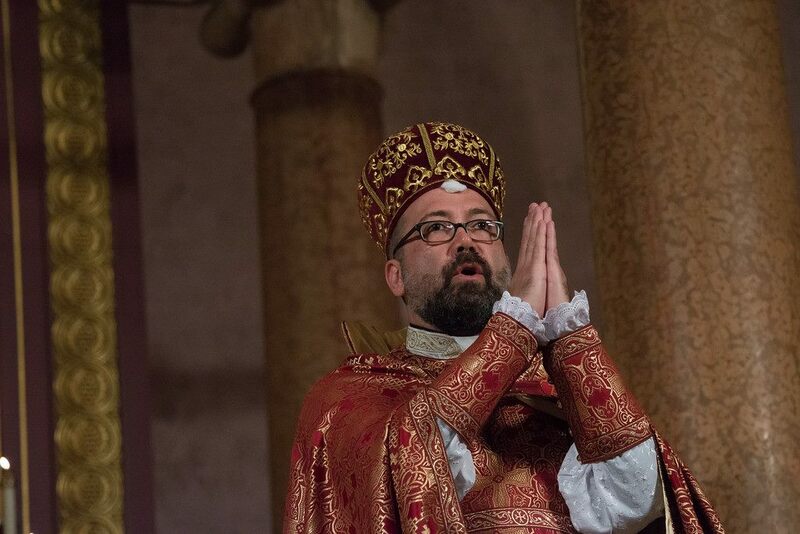 Mampre served as deacon and choirmaster of St. Gregory the Illuminator Church of New York. On January 3, 1977, Fr. 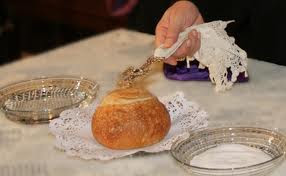 Mampre became pastor of the Holy Trinity Church of Cambridge, MA, where he served for 25 years, retiring in December 2001. Fr. Mampre was a member of the Diocesan Council for 16 consecutive years, serving as its chairman for four years. For 18 years, he was on the Diocesan Unity Committee, and for numerous years he served in the Ecumenical Department of the Diocese. He has served as a member of the Board of Directors of the Fund for Armenian Relief. Fr. Mampre has been visiting our Parish for many years. This year marks the 60th Anniversary of the Ordination of Fr. Mampre Kouzouian to the Priesthood. His Holiness Karekin II, Supreme Patriarch and Catholicos of All Armenians will travel to Boston to participate in honoring Fr. Mampre in May, 2018. Fr. Mampre has asked that any gifts be earmarked and distributed for two causes that are dear to his heart: the Muratsan Children’s Cancer Clinic in Yerevan and to the homeless men, women, and children, living in and around Yerevan, Armenia. Gifts should be written to the Holy Trinity Armenian Church, with a memo notation “60th Anniversary”. All donations given at our church for this cause will be sent to Holy Trinity Armenian Church. Fr. Armash Bagdasarian was born in Istanbul, Turkey, with the baptismal name Vahe. 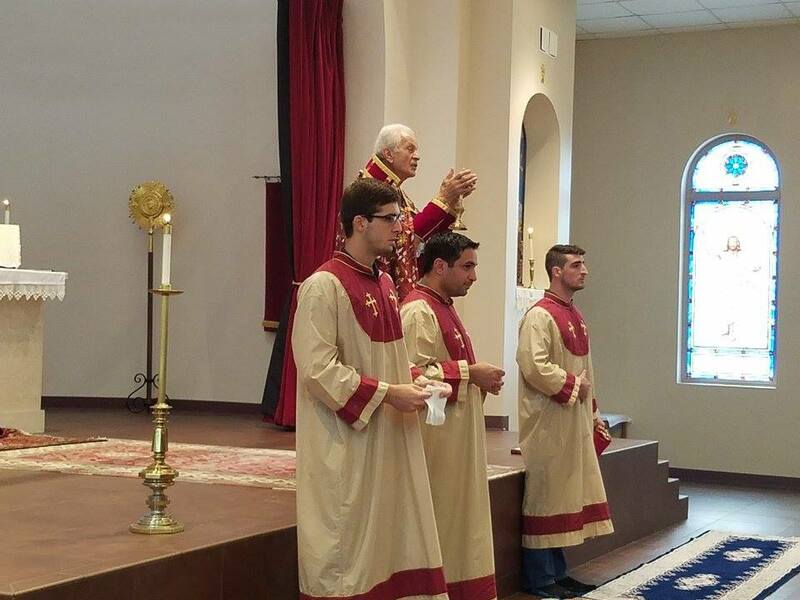 At a very young age he began serving the Armenian Church as an altar boy and choir member. He received his early education in local schools, including the Ozel Icik Lyceum High School and Old and New Testament studies at the All Saints Presbyterian Church (under the auspices of the Armenian Patriarchate of Constantinople). Upon his graduation from Istanbul’s Kultur University in 1998, Fr. Bagdasarian moved to the United States, where he continued service at the Holy Cross Armenian Church in Union City, N.J., and worked as a diamond setter in New York’s Diamond District. While in the United States, he studied English at Hunter College and Baruch College in Manhattan. In 1999, he was elevated to the rank of sub-deacon by Archbishop Khajag Barsamian and thereafter to deacon in 2002. 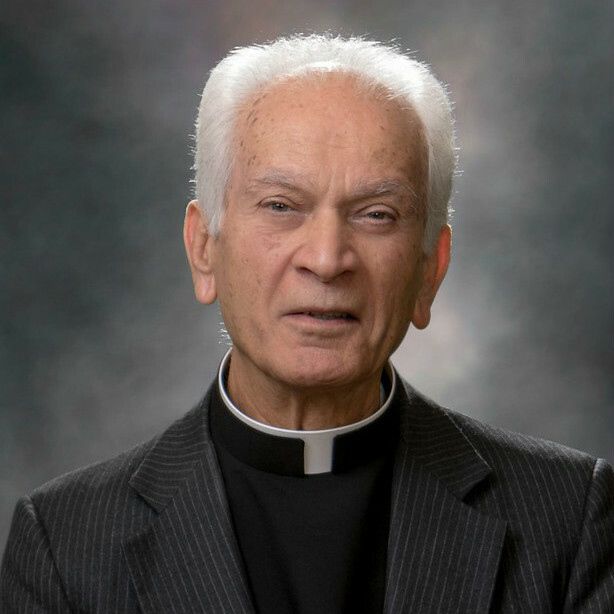 With the encouragement of Archbishop Barsamian, he began his studies at the St. Nersess Seminary during the fall of 2012 and graduated in the spring of 2015. 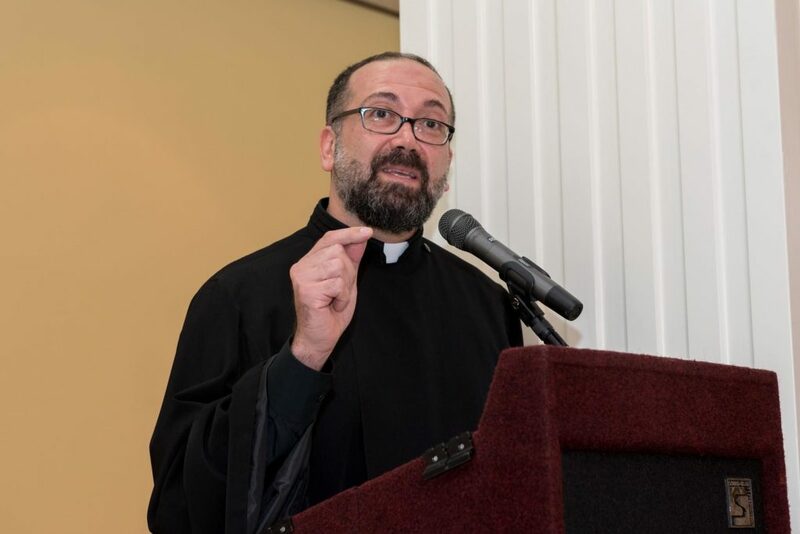 He completed his Clinical Pastoral Education (CPE) at the Palisades Medical Center and interned at St. Leon Armenian Church of Fair Lawn, N.J., under the guidance of pastor, the Rev. Fr. Diran Bohajian. On July 24, 2016, Fr. 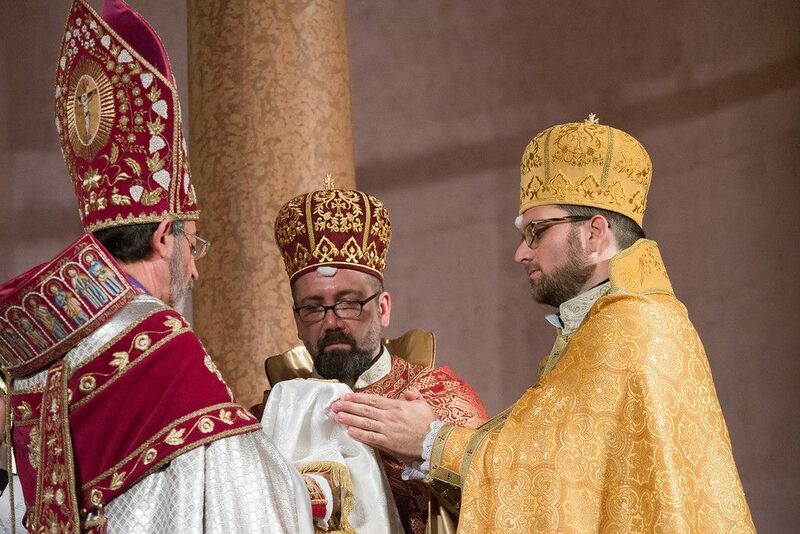 Armash was ordained as a priest by Archbishop Khajag Barsamian, Primate of the Eastern Diocese. 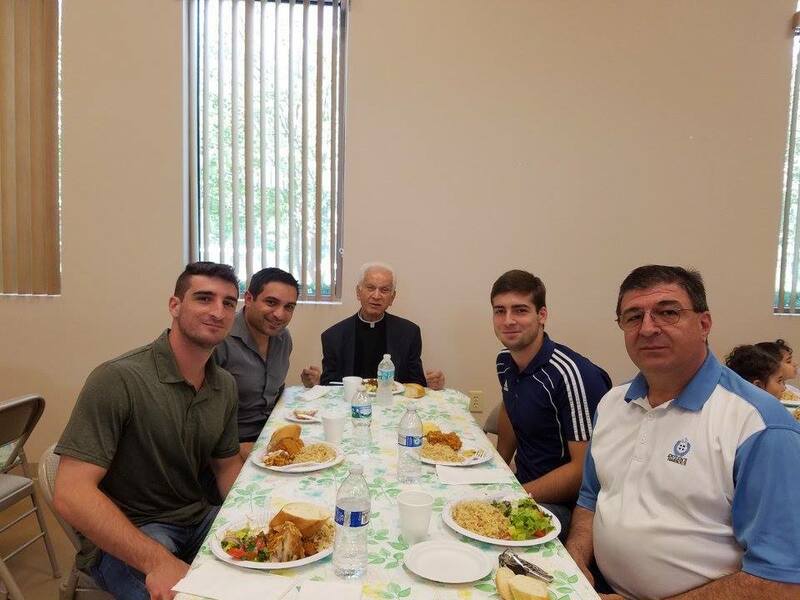 After completing his 40-day seclusion, he assumed the pastorate of Soorp Haroutiun Church in Orlando. Fr. Armash is married to Yn. Maran and have a son, Nathaniel. Please call the church office at (407) 876-7732 to make arrangements.